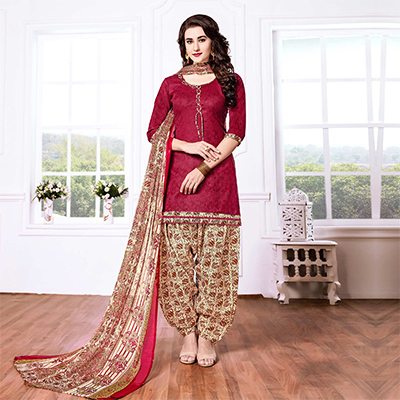 Glitter like a star in the night sky by wearing this delightful maroon patiala suit. The top is of cotton blend with printed beige color poly cotton bottom and chiffon dupatta. It's a perfect outfit to wear for kitty parties and social get together. Grab this suit now as it's easy to maintain and comfortable to wear all day long.